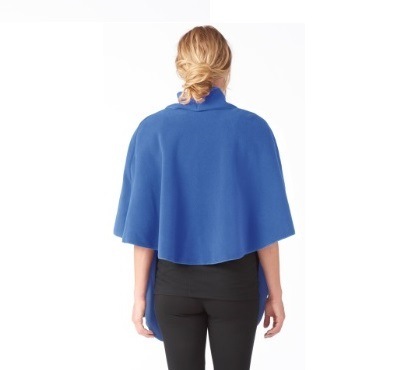 Soft fleece wrap with pockets ideal for holding books and tablets. 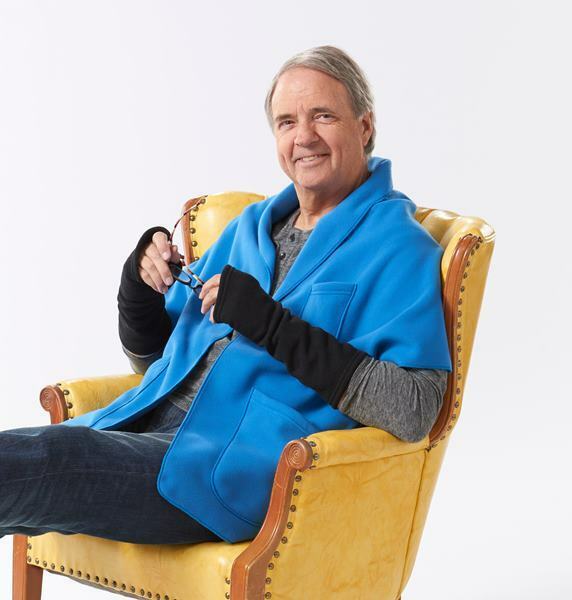 The Janska Reader's Wrap is a soft and warm wrap, perfect for both men and women. 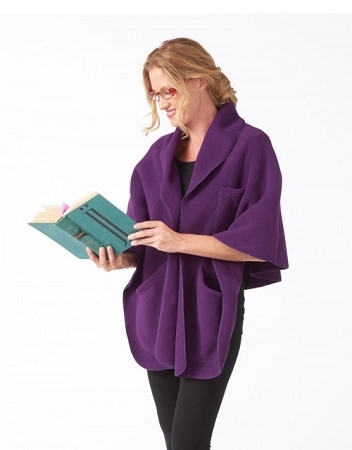 It has one small breast pocket for holding glasses and two large pockets ideal for holding books and tablets. 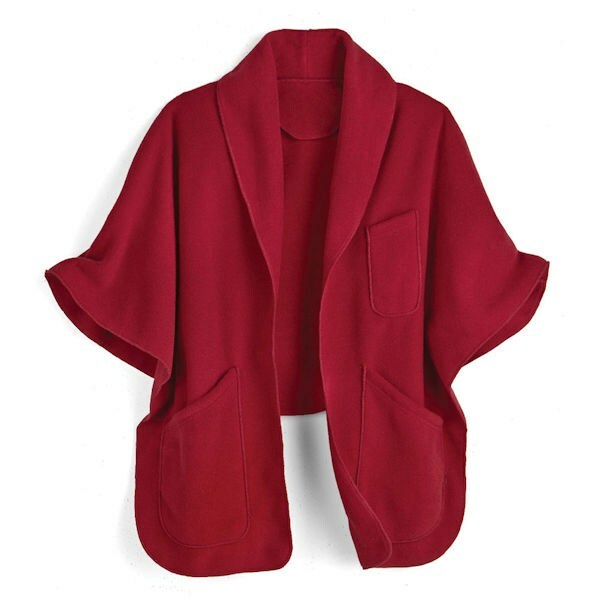 The shawl collar provides extra warmth across the neck and shoulder area while the shorter back keeps it from bunching up when sitting. 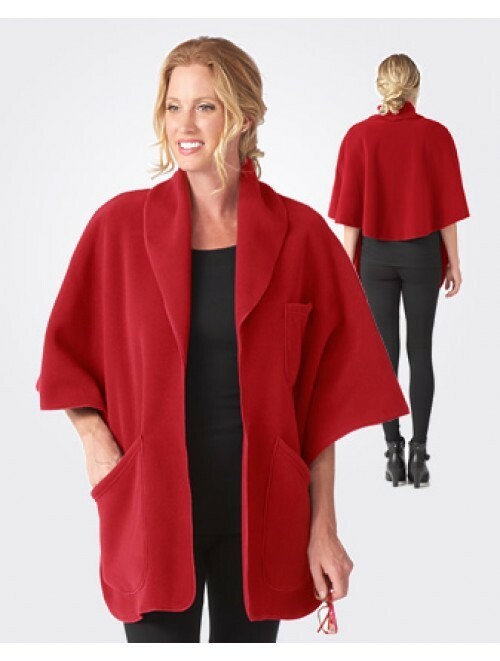 The lightweight, fleece Janska Reader's Wrap has 2 deep front pockets measuring 7 inches wide by 10 inches deep, and a smaller 5 inch long, 3 inch wide upper pocket. 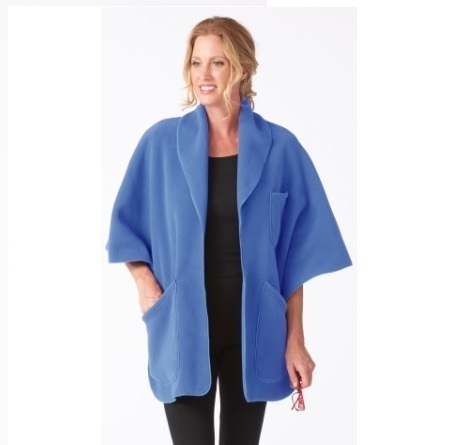 This one size wrap measures 48 inches long overall and has a center back length of 23 inches. The curved neckline comfortably wraps higher on the neck and gently shapes around the shoulders. 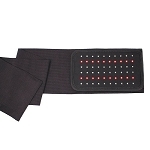 Designed for both men and women, the Janska Reader's Wrap is available in Red, Crocus, Black, or Marine Blue. Choose Color: Black, Red, Crocus, Cobalt Blue. Gray Heather available by special request. Material: Ultra-soft Polartec® no-pill, moisture wicking fleece. I ordered the wrap as a gift. Very warm and well made. I think the person I bought it for will be very happy! I have given 1 other wrap as a gift and that person loved hers! I was wishing they still had the nice warm camel color, but the blue is pretty.